Norway’s Oslo is one of Europe’s most beautiful capital cities: its natural surroundings of rolling hills and mountains, verdant islands and the sea, give this 1000 year-old city an abundance of natural beauty. Lining two scenic bays, it has 40 islands within the city limits (and scores more around the fjord), the city happily straddles both land and water. Life here is idyllic. No one is in a rush, and the stresses are kept to a minimum. Yet this sleepy city has spent the past few years positioning itself as one of the foremost centres for contemporary art in Europe. The waterside district of Tjuvholmen (pronounced Shoohomen) has been regenerated, at great expense but with equally great success, and is now home to some stunning contemporary galleries, and an extraordinary art hotel. Street art and sculptures are popping up all over the place, and vast murals have been commissioned. 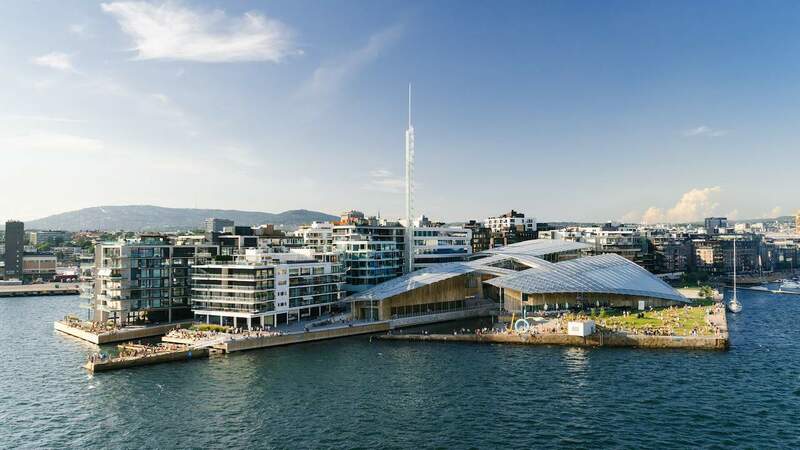 A must-see is the Astrup Fearnley Museum of Modern Art, which began life in the 1960s as a private collection, and opened to the public as a museum in 1993. The museum’s two dramatic glass and timber structures were designed by the architect Renzo Piano, and have set the architectural style for the other new buildings in the area. The collection includes thousands of contemporary artworks by Norwegian and international artists from the 1960s to the present. American contemporary artists are particularly well represented, though in recent years the curators have also sought out iconic photographs, sculptures, paintings, and multi-media works by emerging and established Brazilian, Japanese, Chinese, and Indian contemporary artists. The big name artists include Francis Bacon, Andy Warhol, Damien Hirst, and Jeff Koons. Here too you can see the work of American Tom Sachs, for whom branding is itself an art form. He takes the mass-produced images we are all familiar with — the McDonald’s golden arches, the seal of the President of the United States, household white goods — and recreates them by hand, using cheap materials such as cardboard, construction materials, wood, and adhesives. Sachs is interested in showing the way things work, the nuts and bolts inside, and so his life-sized sculptures are not only spectacularly detailed, but also often allow us to look inside, as though they were 3D exploded diagrams. Perhaps the two longest-established artists whose work is displayed at the Astrup Fearnley are the duo Gilbert & George, Italian Gilbert Proesch and British George Passmore. Having met at art school in London in the 1960s, they led a rebellion against what they believed to be the elitism of traditional sculpture. To bring this medium back within the reach of ordinary people, they pioneered “living sculptures”, performing for up to eight hours at a time on the streets of London, as well as in galleries. For Gilbert & George, life and art are inseparable, and they explore a number of complicated issues in their work, including religion, sexuality, identity, urban life, terrorism, superstition, AIDS, old age and death. Surrounding the museum on the waterfront is the Tjuvholmen Sculpture Park, created as the result of a collaboration with Poul Erik Tøjner, director of the Louisiana Museum of Modern Art, near to Copenhagen. The park was designed at the same time as the Museum, also by Renzo Piano, and it contains seven significant sculptures, one each by Louise Bourgeois, Antony Gormley, Anish Kapoor, Ellsworth Kelly, Ugo Rondinone, Franz West, and the duo Peter Fischli & David Weiss. If you have just half an hour to spare in Oslo, you should come here, to walk amongst the sculptures, and then to sit on a bench, peacefully, staring out across the fjord. Opposite the Astrup Fearnley Museum, and with a contemporary art collection to rival any museum, let alone hotel, in the world, is The Thief. As you approach the hotel’s main entrance, eagle-eyed guests will spot straight away the prostrate statue to the left of the door is a sculpture by Antony Gormley, and a very fine example of his work. Inside, every wall, every space, is packed original artworks by Damien Hirst, Andy Warhol and Jeff Koons, video art installations by Charlotte Thiis-Evensen, and album covers by Roxy Music’s Bryan Ferry, just to mention a few. Not surprisingly, the hotel’s art insurance cover is the highest for any hotel property in the world. You will want to allow plenty of time to explore the corridors and other public spaces, wondering which masterpiece will be around the next corner. Even the artworks displayed in your own room will seem as if you have put down your bed in the midst of a leading contemporary art museum, and to all intents and purposes, you have. Some of the most famous, and impressive pieces are on show in Fru K, The Thief’s restaurant, where gastrophiles and art lovers alike compete for tables. Challenge yourself to identify the artists who have created the artworks around you. Many of them are instantly recognisable. 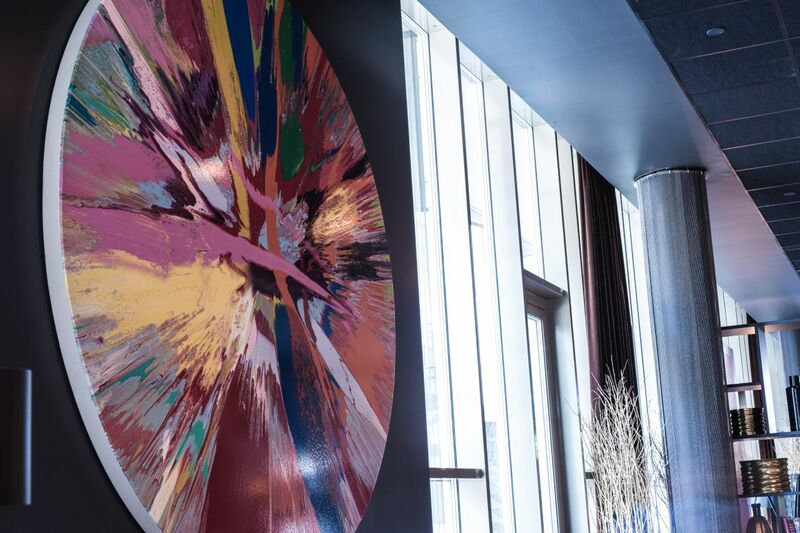 The chances are that your fellow diners will be as famous as the artworks — The Thief is, after all, the preferred hotel of rock stars, super models, and film stars visiting Oslo — so you will want to sit back, a glass of Champagne or a signature cocktail in hand, and enjoy some quality people watching. 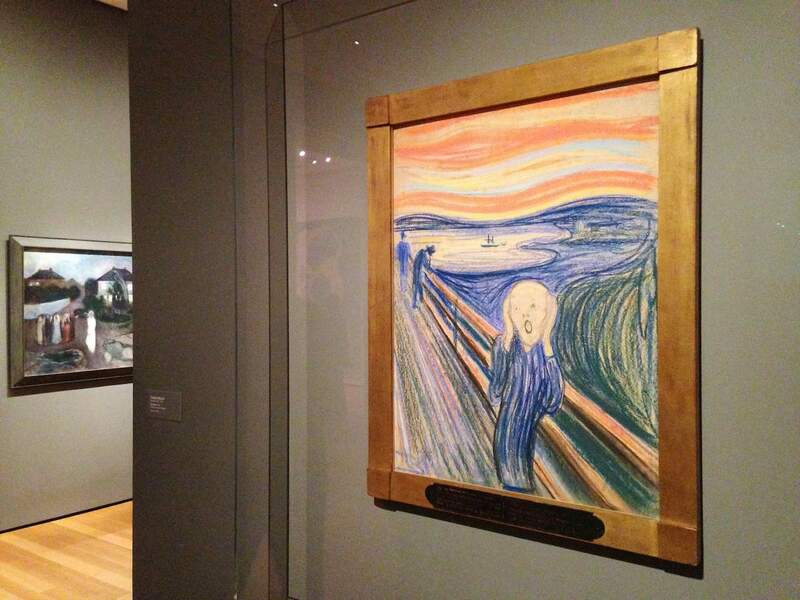 The Scream is undoubtedly the most famous artwork produced by a Norwegian artist, so you had better take time to visit the Munch Museum, dedicated to the life and work of Edvard Munch. Opened in 1963 to celebrate what would have been Munch’s 100th birthday, you can see both The Scream and Madonna, a naked and somewhat controversial depiction of the Virgin Mary. Both of these paintings were stolen to order from the Munch Museum in 2004, but they were recovered by the police after a international two-year hunt, and put back on public display. 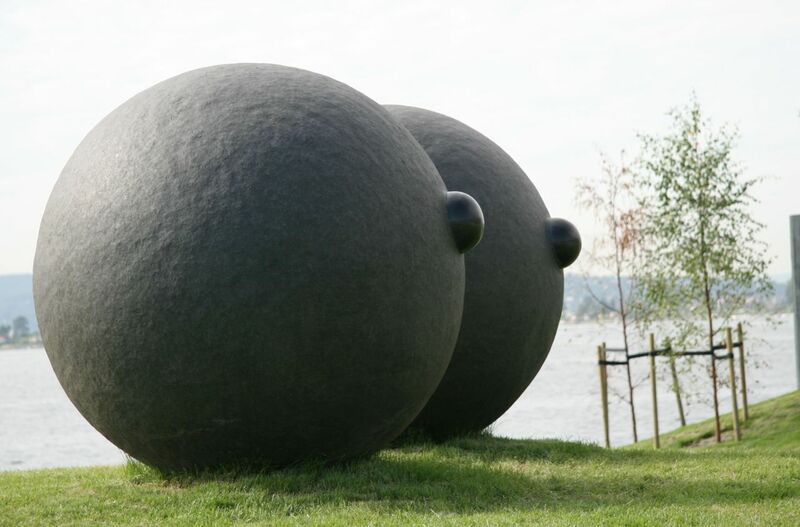 If you prefer your art out in the open air, Oslo boasts two important sculpture parks, in addition to the one in Tjuvholmen. The Vigeland Park has been created by a single artist, Gustav Vigeland, and contains some 200 works in bronze, granite and wrought iron. 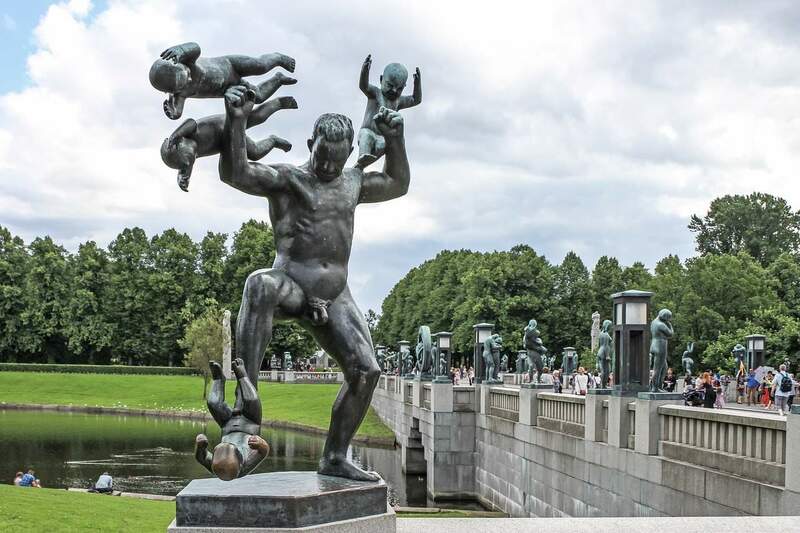 Vigeland was also responsible for the park’s design, which was laid out in the mid-20th century and is a popular spot for Oslo’s residents to walk, picnic, and spend time with their families. Newer than the Vigeland Park, and exhibiting the works of multiple sculptors, is the Ekebergparken Sculpture Park opened in a woodland in southeastern Oslo in 2013. Here you can see sculptures by Rodin, Renoir and Dali, but also 21st century works in stainless steel, bronze, and marble by the likes of Dan Graham, Diane Maclean, and Lynn Chadwick. Entrance to the park is free, but there is a small charge if you want to take the guided tour, or enter the Skyspace light installation.